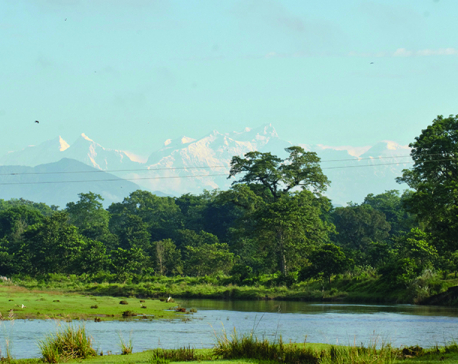 CHITWAN, Sept 23: Madi Valley is surrounded by Chitwan National Park on three sides and by Someshwar hill in south. As the valley’s settlements are in close proximity with the park’s wildlife, there have been many instances of human-wildlife conflicts. Of late, however, they valley is known not for such conflicts, but as one of the most beautiful destinations for domestic and foreign tourists. It is not difficult to find out why tourists are in love with Madi Municipality. It has beautiful locality and is blessed by natural scenery. It is a settlement that is surrounded by forest from all sides. Initially domestic tourists came to know of the place after its residents started offering homestay facilities. Development of homestay played a crucial role in attracting foreign tourists to the place as it offered a unique experience in terms of natural and cultural aspects. 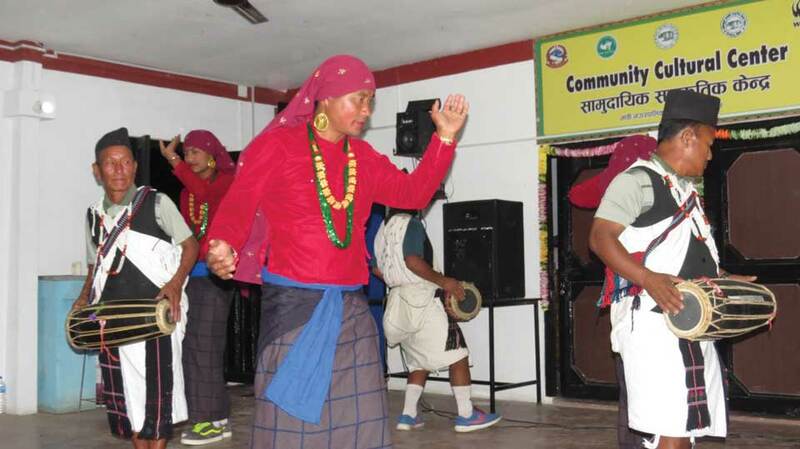 Pun Magar Community of Shivadwar, Madi Municipality-8, which is formed by local residents, has been offering homestay facilities since December 27, 2015. Likewise, Ayodhya Bufferzone Community of the same place runs homestay facilities from 11 houses. Each member house has two rooms up for the visiting tourists. The facility has proven to be the backbone in attracting tourists in Madi. However, residents were skeptic at first. They did not believe that anyone would like staying in the place, which is surrounded by forests and has constant risks of attacks from wild animals, according to Mohan Bahadur Pun Magar, chairperson of Homestay Operator Committee. Magar said over 9,000 tourists have visited the place since they started offering homestay services. He claimed that financial transaction from homestay has so far amounted to around Rs 8.5 million. By offering homestay service, a house can make monthly income of up to Rs 36,000. “On an average a house can earn Rs 22,000 a month during tourist season,” he informed. Shivadwar village is now famous for its homestay service. The handsome revenue from homestay has made the village known to other residents in the municipality. Locals have also learnt a lot by offering homestay. “Locals now can speak confidently with their guests. They can express their opinion in a clear manner. Likewise, they have also learnt the value of time,” said Magar. Furthermore, it has enabled the residents to explore alternate sources of income. In order to mange supplies for their guests, locals have started poultry farming and vegetable farming. Not only it allows them to provide more options to their guests, it has also boosted their total earning. They have also learnt to appreciate the environment they live in. Knowing that tourists are attracted to the beauty of their village, locals unite every week for community-initiated cleanliness program. Around 600 to 1,000 tourists are expected to visit Madi during the upcoming fall tourism season. According to the homestay operator committee, 14 groups have already booked their arrival for the fall season. The peak tourist season starts during the end of September and lasts until the end of December. “Tourists start arriving here from Dashain festival. Some groups have already booked our homestay facilities. I have been informed that one group comprises of 15 tourists,” said committee chair Magar. The group of 15 toursits is arriving in Madi is in coordination with World Wildlife Fund (WWF) and an Australian travel agency. 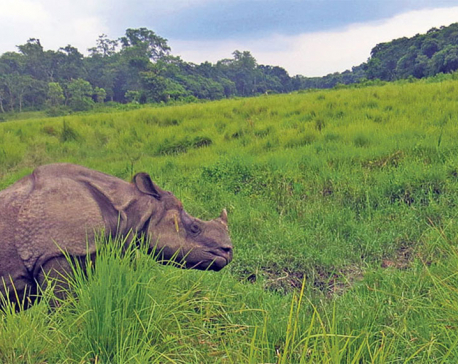 The tourist group is set to arrive in Madi after travelling to Lumbini and Pokhara, informed Prem Paudel, coordinator of Chitwan chapter of WWF’s Terai Arc Landscape (TAL) Program. Paudel said a three-day package in Madi has been designed for the group. 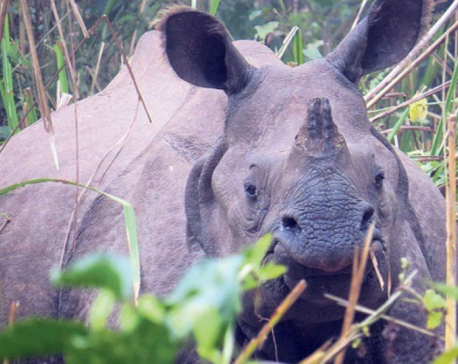 They would live in homestay houses, observe local culture and village lifestyle, take tour of Madi’s tourist spots, and join safari program of Chitwan National Park. According to Madi Municipality’s Mayor, Thakur Dhakal, they have proposed to enlist Madi among Nepal’s 100 new travelling destinations. Some of the tourists visit the place for study and research purposes as well. Some places in Madi, including Baikuntha Lake, Someshwargadhi, Balmiki Ashram and Shani Temple are popular. With the initial success and popularity of homestay, locals are preparing to expand the service in other places as well. Indigenous Bote community is set to expand homestay in Bankatta of ward 1 with the help of the municipality. Likewise, Tharu community in Bagauda of ward 3 and Rai community in ward 9 are also preparing to introduce homestay facilities. The municipality plans to provide subsidized loan for the locals interested in starting homestay services. Interest for the loan would be just four percent, informed Dhakal.